At the turn of the last century massive apartment buildings dripping with French-style ornamentation rose throughout the city—many on the Upper West Side. The expansive apartments—some including up to 15 rooms—were outfitted much like private homes. The era of 20th century apartment living had arrived not with a bang, but with an explosion. For the past two decades architect James E. Ware had busied himself with uptown commissions, designing mansions, rowhouses and other buildings like his monumental 12th Regiment Armory. 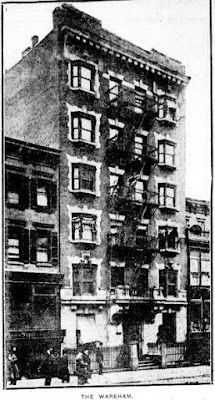 But in May 1904 Ware looked to the Murray Hill neighborhood to design and erect an apartment building without the middle man developer. 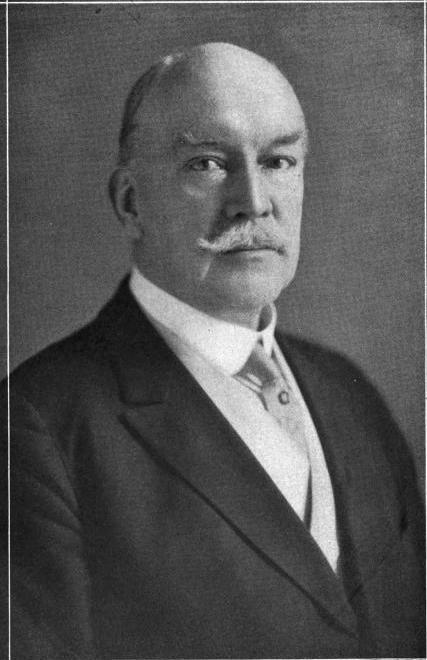 On May 7 the Real Estate Record & Builders’ Guide reported that James E. Ware & Sons were making plans for a six-story “flat building” for the Ware Realty Co. Exactly one week later, the journal noted that the two old structures at Nos. 231 and 233 Lexington Avenue were in the process of being demolished. Unlike the lavish apartment buildings rising along Upper Broadway, Ware’s more modest structure would target the professional upper middle class. Completed within the year, the building was an interesting marriage of two currently-popular architectural styles. The five upper stories, clad in red brick, were accented by neo-Federal window treatments—quoined surrounds at the outer openings; and splayed lintels and layered keystones. Ware then splashed the façade with Beaux Arts elements—a stone balcony above the entrance supported by festooned brackets, and unexpected scrolled keystones with dripping carved garlands above four of the outer windows. The openings along the side received deep, angled metal bays filled with handsome leaded glass. These not only added a third dimension to the façade; but caught wafting summer breezes. Delicate leaded glass filled the oriel windows. The scrolled keystone of the opening below was an architectural surprise. The Ware family congratulated itself on the new $40,000 apartment building, complete with elevator, by naming it The Wareham. There were three apartments per floor in the building, and potential residents could choose from three, four or five rooms with rents ranging from $600 to $900 per year. The rent on the most expensive apartment would equal just over $2,000 a month in 2015. The tangled, involved story did not stop there. The elevator men volunteered more information to the reporters. The Leighs also had owned a fox terrier but “One of the men said that when the kitten disappeared the dog, which was much attached to the tabby (or tablet), fell ill from grief, or something, and died.” Another elevator man deemed it canine suicide. But Charles Neal Leigh and the building staff soon had more important things to deal with than how the press reported on the pampered, deceased terrier. The first of the young boys seeking $500 arrived at the apartment house only a few hours after the newspaper hit the streets. He brought along a cat in a bag. “It was a long haired cat that looked as if it had seen better days and many of them,” said The Sun. “It was about as far from kittenhood as it could get and be alive.” The janitor sent the boy away and the cat was let out of the bag. Another respected resident was Dr. Charles H. Duncan, who came from a family of physicians. His grandfather and two of his uncles were doctors. Duncan’s professional career was astonishingly broad. Before he moved into The Wareham he had been Mechanical Engineer of the Illinois Steel Company; a co-founder of the Volunteer Hospital; and was now an Attending Surgeon and Genito-Urinary Specialist in the Volunteer Hospital of New York City. He was most noted, however, for developing Autotherapy, a rather remarkable precursor to the modern day inoculation process developed by Pasteur. Duncan’s approach to “curing disease with its own poison” involved removing bacteria from a patient and developing a vaccine to be used only in that patient. “Similar bacteria taken from another patient may be useless,” he explained. In 1924 The Wareham underwent “alterations.” The arcane documentation for the work is unspecific; however surviving interiors suggest that some apartments received a 1920s update. Tragedy struck The Wareham on February 9, 1926 when Mildred Russell, who was working as the elevator operator, accidentally fell down the shaft. She died instantly of a fractured skull. The horrible accident led to a bizarre court battle that dragged on for years. 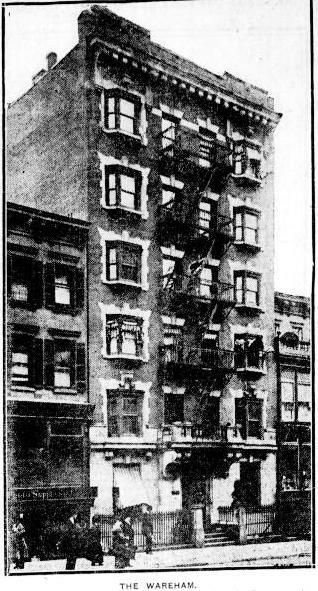 Mildred’s father received $5,000 in Workmen’s Compensation benefits and $750 from the owners of the building, the 231 Lexington Avenue Corporation. But he was not satisfied and filed three suits against the building and two employees. A far happier incident occurred on February 16, 1939 when resident Elsie Compton’s automobile headed across the Henry Hudson Bridge just after noon. At the wheel was Mary Kindrick, “a salesgirl.” The women were gleefully surprised when the car was stopped on the opposite side of the span by the New York City Parkway Authority. Elsie’s vehicle was the 18 millionth car to cross the bridge and she was awarded a 50-trip book of toll tickets. As the Lexington Avenue blocks changed drastically throughout the rest of the century, The Wareham apartments did not. Today there are still three apartments per floor, other than the top floor where duplexes extend to a penthouse level. And James E. Ware’s handsome building survives as a reminder of a time when upper middle-class families filled the gap between tenements and lavish flats.